We often boast about how superior and intelligent we are in the animal kingdom, assigning ourselves god-player domain status over all things living. So, we destroy, abuse and torture nature and all other life-forms. Intelligent? 'Man's best friend' has suffered at our hands for centuries, being domesticated forcibly, broken from the wild, tamed, engaged as work-dogs, guard-dogs, transport-dogs, hunting-dogs, shepherd-dogs, police-dogs, competition-dogs, race-dogs and they even become a meal. Greyhound racing dogs in Asia, when in surplus end up in the slaughter houses, processed as dog-meat for human consumption. So, that's what humans do to their best friends, torture, use them and then eat them. The first dog-racing track opened up in America in 1919 in California. To date seven states still are active. In Tuscan, Arizona in March of this year, a unanimous vote was tabled on a bill (SB 1273) to reduce greyhound racing at Tuscan Greyhound Park (TGP). According to Grey2K USA, dogs at TGP are raced up to 748 times per month with a total of two rest days. In Florida, thirteen race-tracks conduct greyhound races. In a detailed report on Greyhound Racing in Florida by Grey2k USA (2011), several issues were highlighted, namely, long-term confinement, serious injuries, poor living conditions, minute cage sizes, positive test results for serious drugs (cocaine metabolite and steroids), killing of dogs regarded as non-profitable, poor diets, severe emaciation and expired vaccinations. From America dog-racing spread to Britain in 1926, following a similar betting system as that used in horse-racing. Britain operates 25 licensed stadia conducting dog-races. While the British greyhound industry reveal such soft well cared for dogs that are treated with care and even adopted or kept as pets past their race-days, contrary animal rights facts dispute this. The Greyhound Action (GA) organisation (2011) reveals that "tens of thousands of dogs are disposed of every year by the British greyhound racing industry - because they fail to make the grade as racers or when their racing days are over. It has been estimated that greyhounds running on British tracks sustain more than 12,000 injuries every year and that 10% of dogs that race are already suffering from injuries." GA figures show that between 500-1000 retired greyhounds are put to death every year as reported by the British Greyhound Racing Industry. However, GA and Greyhound Exploitations disputes the industry's disclosed data accuracy, highlighting that true figures of retired deaths may be as high as between 3000 - 6000. Dog-racing is highlighted as a package with tourism. Vietnam Travel Guide promotes dog-racing as follows: "One of the newest attractions in Vung Tau is the Greyhound Racing Track at 15 Le Loi Street. The TRACK was opened last year with a brand new 5000 seat stadium." The proponent entrepreneur exploiting dogs for money-making is Nguyen Ngoc My, reported widely for his intentions to open racetracks throughout the country. He was awarded a 25-year license in Vietnam and a 30-year license to start the venture in Cambodia. Greyhounds to Vietnam were imported from Australia but operators in Vietnam are now breeding their own dogs. Campaigns have been initiated throughout the world asking for a ban on greyhound racing, appealing to governments on an animal rights level. With Cambodia's potential to get into this animal exploitation gambling, Care2 petition site appeals to the public to sign up asking the government to ban greyhound racing. Dog-racing was banned more than four decades ago together with other forms of gambling, and the ban remained with the new government. A dog-racing contender attempted to convince the new government that dog-racing was equivalent to horse-racing. In principle it is, and horses who are not profitable are indeed shot even when they can survive past the injury, so if we are to approach the forced unnatural breeding and racing of animals for gambling and entertainment, we must do so equitably. 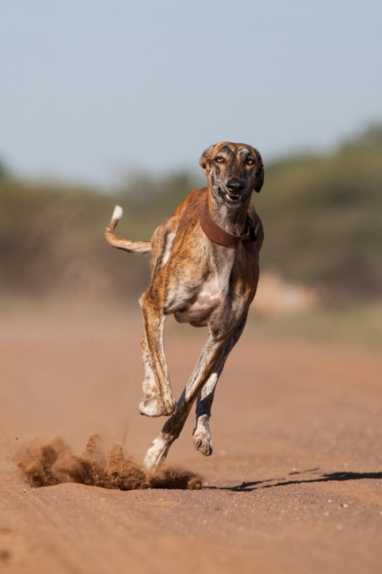 The government in 2011 rejected the proposal to introduce greyhound racing but in 2012, there are moves again in the country to request the legal racing of dogs, which has been happening illegally in the country. Animal welfare lobbyists need to move fast as it seems the politicians and officials may yay without opposition. The Australians not only operate their own race tracks but supply southeast Asia with greyhounds. Australia and all greyhound supply countries are enabling a continued system of animal abuse. The Irish government actually subsidises the greyhound racing industry. Animal protection organisations in Ireland such as Greyhound Compassion, Dungarvan Rescue and Limerick Animal Welfare (LAW) are working hard to ban the practice. LAW "attends the greyhound auctions and [tries] to save the greyhounds for whom there is "no bid" and they rescue the greyhounds surplus to the requirements of the greyhound racing industry (GC, 2012)." India may be a fresh contender in the dog-racing gambling and entertainment business if a strong global citizenry don't band together to ban greyhound racing altogether. Other countries engaged in greyhound racing are Canada, New Zealand and in South American and European countries. Are humans really blind to their own hypocrisy? 'Man's best friend' indeed! More like 'Humans, animals worst enemy! '.